Nice little sunset Monday afternoon over Mt. Whitney and the Alabama Hills -- click above to view larger. The prominent peak in the middle of the shot is Lone Pine Peak; Whitney's peak is on the right side of the frame, to the right of the pinnacles. I took this photo from one from the side of U.S. 395, just north of Lone Pine. I used my Nikon D5100 and 35mm 1.8 lens. I gave the photo a healthy crop in Lightroom to get rid of a barb wire fence in the foreground and a tree on the right side of the frame that had a nice shape but blended too much into the background. 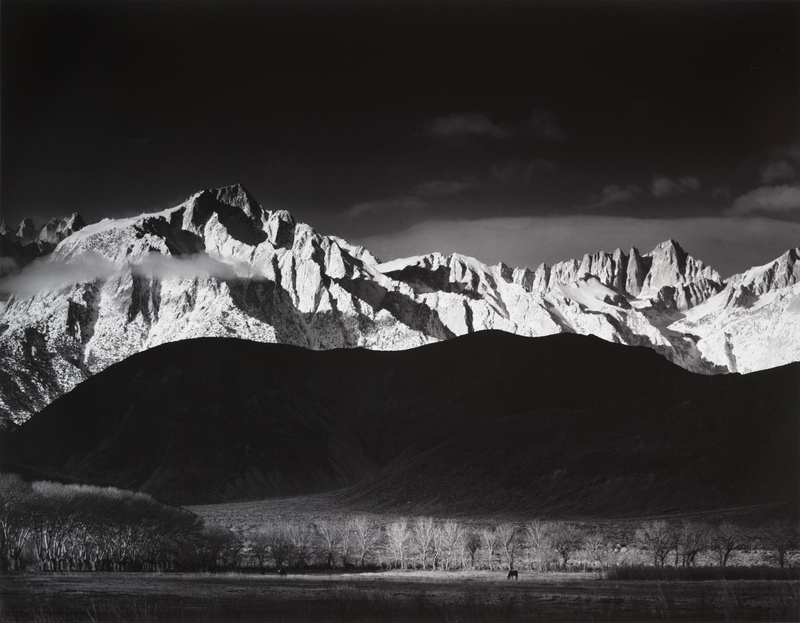 If you're a Sierra or photo buff and the view looks familiar, there's a good reason why: Ansel Adams took one of his well-known images here in 1944 of a winter sunrise throwing great light on Whitney and the Alabama Hills. He removed the "LP" from his print, saying (correctly) it was a blemish on a spectacular landscape. This photo is ©Steve Hymon and may not be used elsewhere without my advance permission.